Double bronze for Emily at Comm Games! Home/News/Double bronze for Emily at Comm Games! Tuesday 10th April: Waverley’s Emily Whitehead has picked up where she left off in the team final, to perform exceptionally in the Vault and Beam apparatus finals at the 2018 Gold Coast Commonwealth Games. Emily’s first individual apparatus final was on Sunday 8th April on Vault and she wowed the audience with two amazing vaults, scoring 14.166 and 13.533, averaging the two scores for a final score of 13.849 which earned her the Bronze Medal! Emily joined two strong Canadian gymnasts on the podium, one of whom was Ellie Black – the current 2018 Commonwealth Games All Around Champion and Silver All Around medalist from the 2017 World Championships. Emily’s second apparatus final on the Beam was held on Monday 9th April. 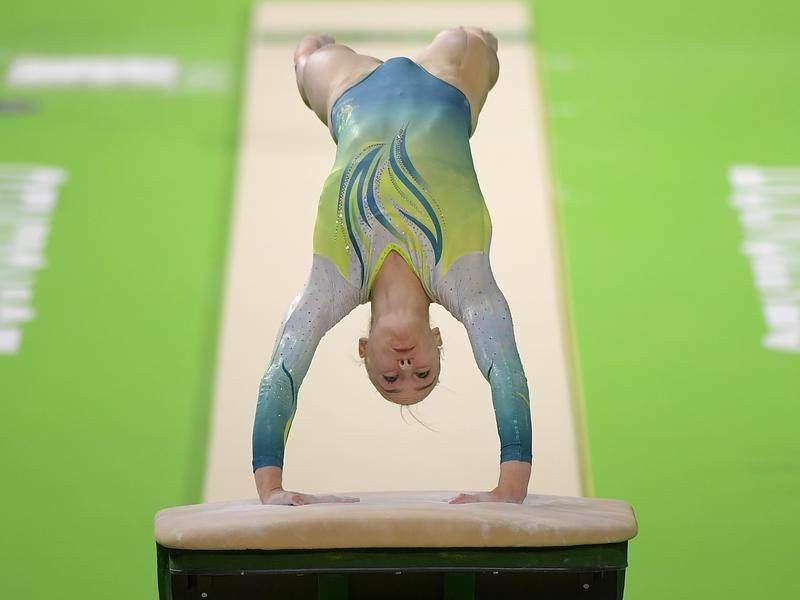 She displayed a positive routine with minimal errors with a final placing of 5th scoring 12.50 – jumping up two places from her 7th ranking in qualifications. 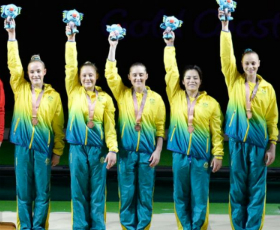 From everyone at Waverley Gymnastics Centre – CONGRATULATIONS Emily, you have done yourself, Waverley and Australia proud! 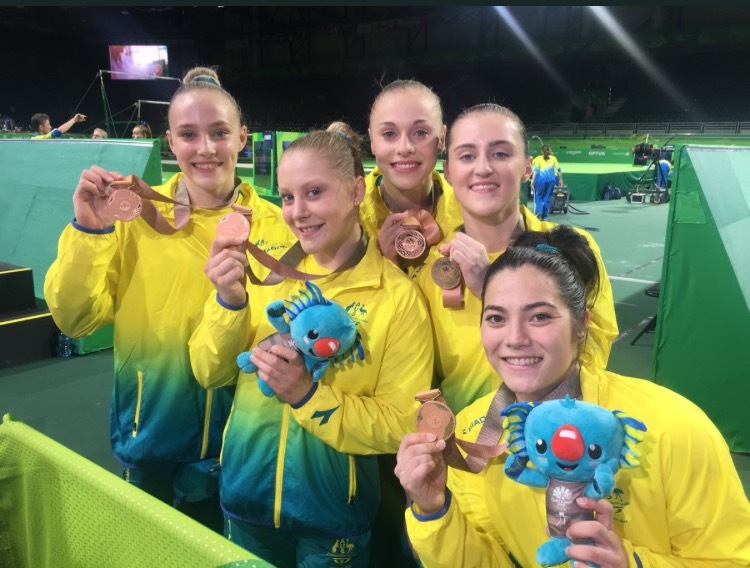 Saturday 7th April: Congratulations to Waverley’s Emily Whitehead and her Australian teammates who took out the Bronze medal in the Women’s Gymnastics Team Final at the Commonwealth Games on Friday 6th April! Emily combined with fellow Victorian Alex Eade, as well as Queenslanders Georgia Godwin, Georgia-Rose Brown and Rianna Mizzen, for a combined score of 157.45. Canada and England took Gold and Silver respectively, whilst Wales finished in 4th place. The youngest member of Australia’s team at just 17, Emily was first up for Australia on both Bars and Beam, putting in rock solid performances which scored 13.15 and 12.45 respectively. She finished the night with two huge vaults, scoring 14.05 – Australia’s highest individual apparatus score of the night! There was good more news for Emily at the conclusion of the event, with her performances securing her a spot in the individual Vault and Beam finals. Well done Emily, we are so proud of you! !